Over the next few months, you’ll be seeing things transition on our website. Fox’s HVAC team has decided to change up our product offerings in heating and cooling to feature more Daikin products and their new Unitary product line of traditional HVAC equipment. Our HVAC Specialists still stand behind and service all of the wonderful Coleman products we have been selling, but we believe that the best full product line of solutions to create energy efficient homes today is produced by Daikin. Founded in 1924, Daikin is a Japanese company that has grown to be the world’s largest heating and air conditioning manufacturer operating in 140 countries, with several US production facilities. Never heard of them? HVAC is all they do, and they let the quality of their products do the talking. Other manufacturers of high-quality equipment do a lot of advertising or sell cars as the main business. Daikin’s goal is to provide customers with options that meet their individual needs by “designing the air” with features for comfort, health, environment, and physical equipment design. They spend 100% of their $300 million research and development budget on continuous improvement in heating and cooling, specializing in three areas – inverters, refrigerants and heat pumps. These are the core elements of the highest efficiency and most environmentally responsible HVAC systems today. Daikin has launched market leading technologies in these areas. Daikin is also the only manufacturer that is involved in the sale, service, and training of those products plus the production of their own refrigerants. They ensure not only that a quality product is made, but that the service, repair, and refrigerants used are up to a high standard. 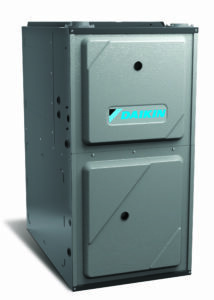 In North America, Daikin first entered the market with ductless heat pumps, also known as ductless splits. 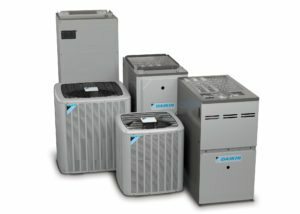 They have added the Unitary product line of traditional heat pumps, air handlers, gas furnaces and air conditioners all made with the latest design for energy efficiency and Daikin’s high standards of quality. These products are EnergyStar certified and meet standards for utility rebates and tax credits. Fox’s HVAC Specialists can tell you all about this great Daikin product line, and we’ll have information on our website in the coming months. Why Choose Fox to install your Daikin products? There are several companies in the Seattle area who offer Daikin products, but Fox is a certified 3D Dealer. This represents a mutual commitment to training and excellence in product installation. Our HVAC team received 80 hours of training directly by Daikin, plus continuous quality and update sessions, providing you the confidence you need to invest in these heating and cooling systems. Fox’s Heating & Cooling Specialists are also your installers, so there’s no disconnect between a salesperson and the installation expert. When you're done with the rest and ready for the best then, 'Think out of the Box... Talk to Fox.' When you are ready to learn more about Daikin HVAC equipment? Give Fox a call today or use the form on this page to email us.